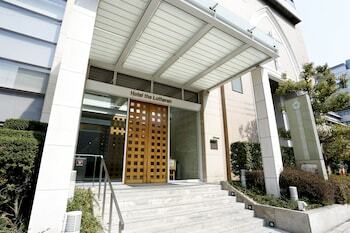 A stay at Hotel the Lutheran places you in the heart of Osaka, within a 15-minute walk of Osaka Castle and Osaka Museum of History. Featured amenities include complimentary wired Internet access, a 24-hour front desk, and luggage storage. Located in Kyoto (Gion), Yoshi-Ima is within a 10-minute drive of Gion Corner and Heian Shrine. When you stay at Ryokan Hanagokoro in Minamioguni, you'll be steps from Ryukyu Islands. Free self parking is available onsite.